Bella-Veneet Oy – Bella-Veneet Oy – Bella Boats is the leading fibreglass motorboat manufacturer in Finland and the Nordic Countries. We have been keeping up with boating trends and fulfilling the wishes of our customers since 1970. 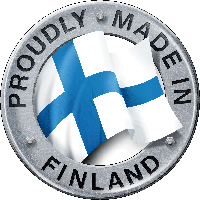 Our boats are made at five factories in Finland, and approximately 75% of our production is exported. With our long-term partner Brunswick/Mercury Marine, we are constantly improving the quality of our products and providing the best possible service to boating aficionados. Our continuous R&D work and modern production process guarantees that you get a high-quality Bella boat that will retain its value. Our experts are constantly following boat building trends everywhere in the world, working in close cooperation with designers and raw materials suppliers. You can therefore rest assured that the best raw materials and supplies have been used to make your boat. Our international purchasing network guarantees that, in addition to impeccable quality, you can enjoy a great price-quality ratio.